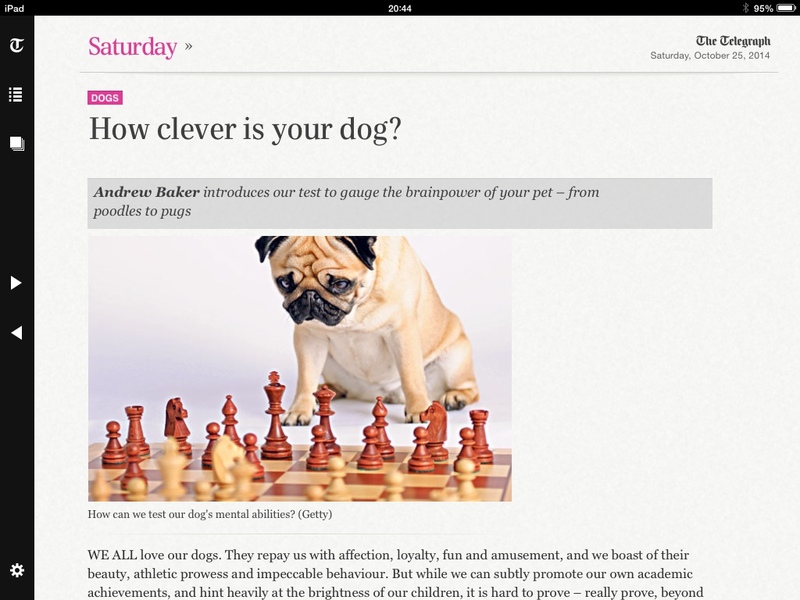 As a dog owner the attached article in yesterday's Telegraph caught my eye. The chess set in the picture might have had something to do with me noticing the article, too. (2) his first two moves, d7-d6 and b7-b5 aren't good- well, not in combination, and b7-b5?? is a move no well trained dog would consider. Mind you, his opponent isn't good either, and I think is cheating: not only does he too have his king and queen misplaced, but somehow he has got a knight to d3 after three moves; but in particular, and why I can safely call my dog whistle and say he is cheating, he has doubled f pawns, and this can only happen by a capture, but black still has all his pieces on. 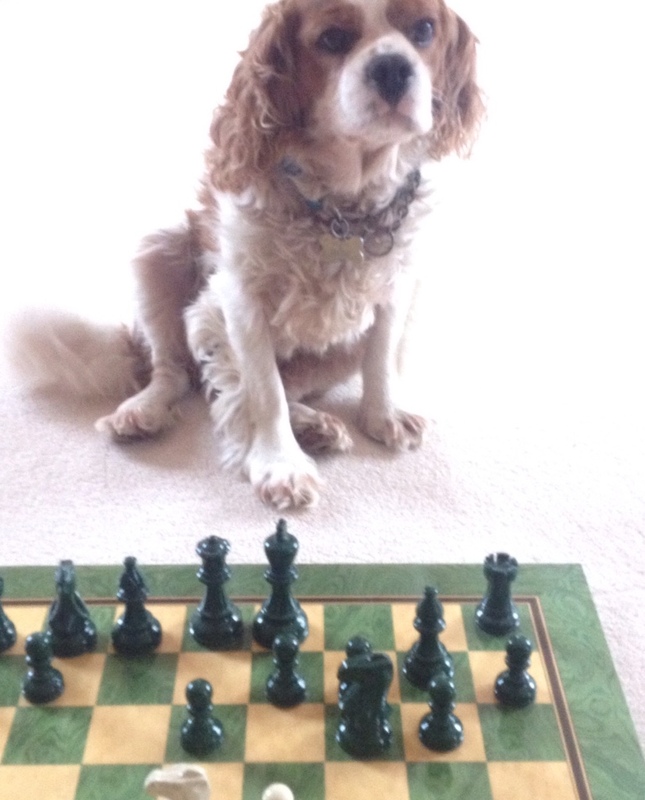 Maybe because his opponent is cheating the dog has such a puzzled expression? (He thinks he is a bigger, more aggressive dog than he is). In case some of my readers are cat rather dog lovers, this YouTube video is worth a look, and makes me laugh each time I see it.